Welding instructor Pete Elwood demonstrates at Pipefitters Local 537's open house. 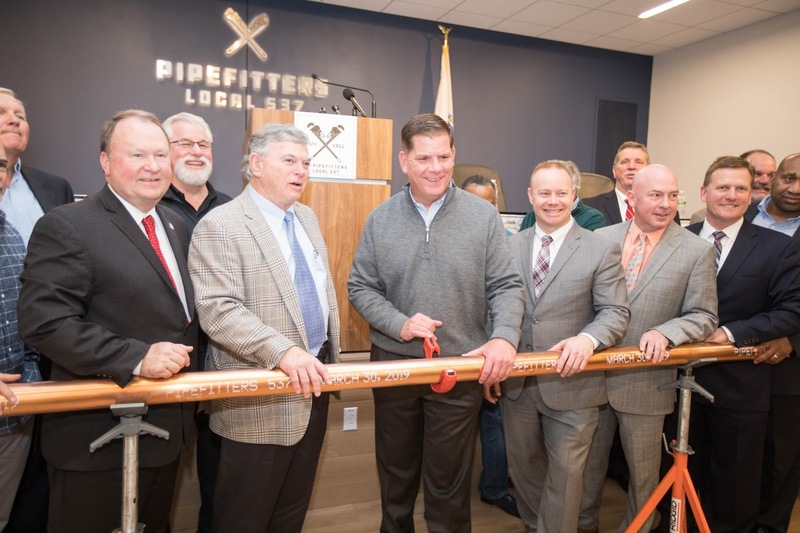 DORCHESTER, MA – Boston Mayor Marty Walsh and Pipefitters Local 537 urged East Boston residents to take advantage of the union's new FREE state-of-the-art training facility to jump start their careers in construction without going into debt on Saturday. They were joined at the facility's unveiling by hundreds of job-seekers, community members, union contractors, Local 537 members and families. 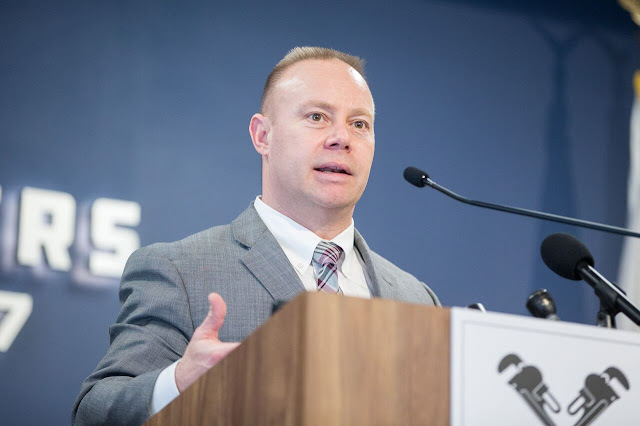 Hundreds of event attendees toured the facilities, met with instructors and current apprentices, and learned about life-changing job opportunities in the region. Brian Kelly, Business Manager for Pipefitters Local 537, noted that training at the union’s facility provides debt-free, world-class instruction. 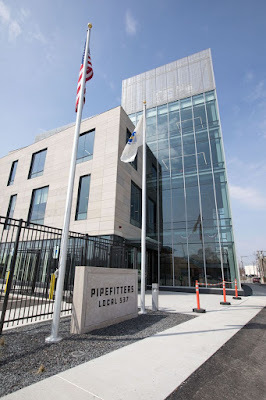 For more information about career opportunities with Pipefitters Local 537, visit Pipefitters537.org or call (617) 787-5370. 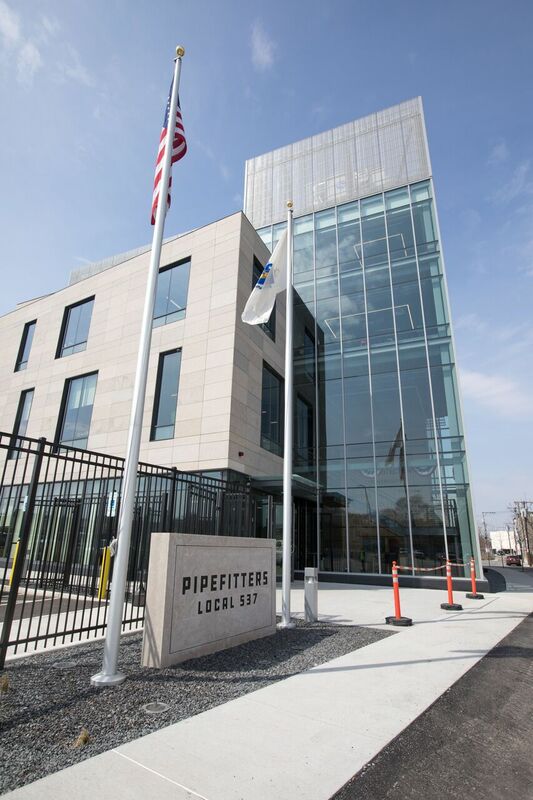 Pipefitters of Local 537 represents over 2,800 members across Massachusetts and is affiliated with the United Association. From medical campuses to area universities, Local 537 is proud to have worked on projects of all shapes and sizes throughout the region for over 100 years. 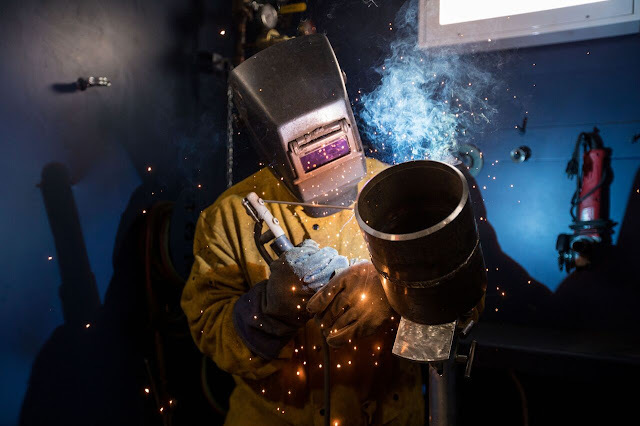 Local 537 continues to provide career opportunities to apprentices and journeypersons in the industry and is determined to ensure the best wages and benefits for Pipefitters, Welders and HVAC- Refrigeration Technicians.